Membership Dues will be due December 31st. A renewal letter was mailed in October. If you haven’t already mailed in your renewal please do so. 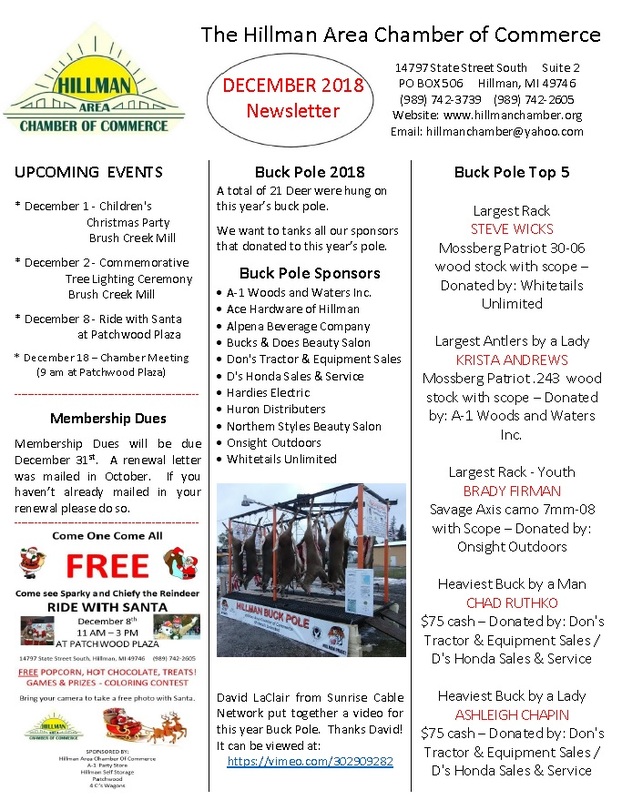 A total of 21 Deer were hung on this year’s buck pole. We want to tanks all our sponsors that donated to this year’s pole. A-1 Woods and Waters Inc.
Mossberg Patriot .243 wood stock with scope – Donated by: A-1 Woods and Waters Inc.
FREE POPCORN, HOT CHOCOLATE, TREATS! Bring your camera to take a free photo with Santa.